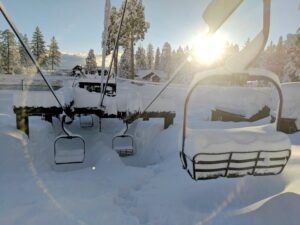 Tahoe Donner is of the many Tahoe ski resorts that offer discount lift tickets for the remainder of the 2018-19 season. There’s still plenty of time to take advantage of the deals at Tahoe Donner because there’s still a month or more left in the 2018-19 ski season. 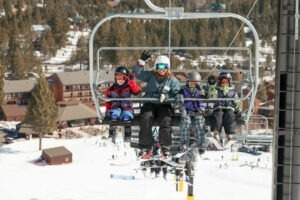 Every Tuesday and Wednesday at Tahoe Donner, parents pay only $15 for an all-day lift ticket when they bring their kids ages 12-under to ski or snowboard. If you’re buying a lift ticket at the Homewood Mountain window you are either uninformed or have never heard of the internet. When purchased online, the savings of an adult lift ticket dips to as much as 55-percent online – $49.That’s right, a mere $49 for a one-day lift ticket. Homewood Mountain, which at times this year has been buried in snow, has online savings of adult lift tickets that dip to as much as 55-percent online – $49. Skiers or riders can go on less popular days at Squaw Valley and receive even deeper lift ticket discounts, as low as $89.